While helpful in maintaining a norm for all card transactions, chargeback rules are, unfortunately, quite complicated. Here are some things to be aware of when navigating the chargeback process. Each card network crafts detailed rules and regulations designed to help all parties involved successfully navigate through the chargeback process. The regulations for Visa and Mastercard differ, but the chargeback process is essentially the same for both networks. Each chargeback is accompanied by a reason code. These reason codes help the merchant understand why the original transaction was disputed. Chargeback rules are organised by the reason codes. Each reason code has its own set of regulations regarding the proper and improper use, representment process, filing time limits, compelling evidence, and more. The chargeback process is contingent on deadlines. Both consumers and merchants must adhere to the debit and card chargeback time limit set forth by the card networks. a consumer’s chargeback filing deadline is 120 days. a merchant’s representment filing deadline is 45 days. an issuer’s pre-arbitration chargeback filing deadline is 45 days. Each transaction dispute is accompanied by a fee. The merchant processing agreement will outline the applicable chargeback fees, usually between £15 and £100 each. 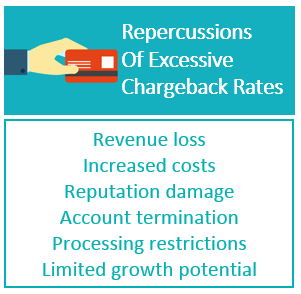 If chargeback rates become excessive, the card networks will impose various penalties and fines. These will be assessed to the acquirer who will pass the costs along to the merchant. Merchants who breach chargeback thresholds are subjected to penalties from both the card network and the acquirer. The networks could enroll a merchant in one of their chargeback monitoring programs and demand a risk mitigation plan. The longer the merchant remains in the chargeback monitoring program, the more fines the merchant will need to pay. Acquirers might allow the merchant to attempt to reduce chargebacks, or the bank could simply terminate the processing agreement. Merchants who lose the ability to process card payments are placed on the MATCH list. This prohibits the merchants from obtaining another traditional processing agreement for five years. The only option available to MATCHed merchants is high risk payment processing. Unfortunately, the risk assessment process implemented by acquirers is a subjective process. Each acquirer evaluates and addresses risk differently. Many of these financial institutions don’t have hard and fast chargeback rules regarding what warrants account termination. Chargeback rules vary by card network. It is essential for merchants to carefully review each network’s guidelines and regularly check for updates. Each card network supplies online versions of their chargeback rules. Regulation manuals are updated twice a year (usually in April and October) with smaller changes being implemented continuously. Reviewing the policies for each network is a tedious, time consuming and confusing process. These massive documents are filled with complex industry jargon and assumed card intelligence. Have you seen how detailed and complex the card networks’ chargeback policies are?! A merchant will be hard pressed to find any loopholes in the chargeback rules. Card networks specifically design their regulations to be the definitive standard in transaction disputes. Merchants must abide by the rules or suffer the consequences. Cardholders are theoretically subjected to chargeback rules too. While merchants are unable to find discrepancies in the regulations that will bolster their defence, consumers can exploit the system and file illegitimate chargebacks. Cardholders commit friendly fraud when they unfairly use the chargeback system to their advantage. Friendly fraud emerged because of the subjectivity of the chargeback process. Chargeback rules are interpreted and enforced by humans. 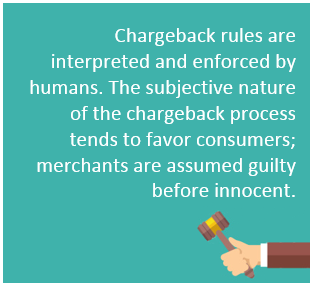 The subjective nature of the chargeback process tends to favour consumers; merchants are assumed guilty before innocent. Did you know the chargeback rules for consumers are more flexible than the policies for merchants? Understanding the applicable chargeback rules is just the beginning. 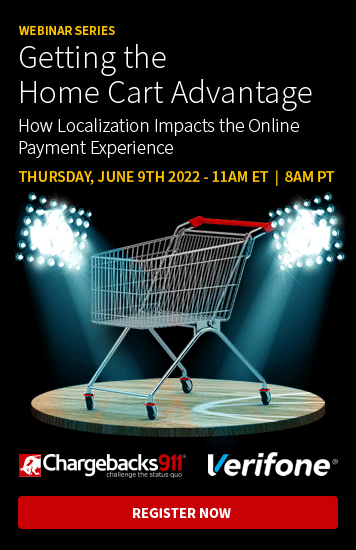 Merchants must also effectively implement them each time the business is confronted with a transaction dispute. 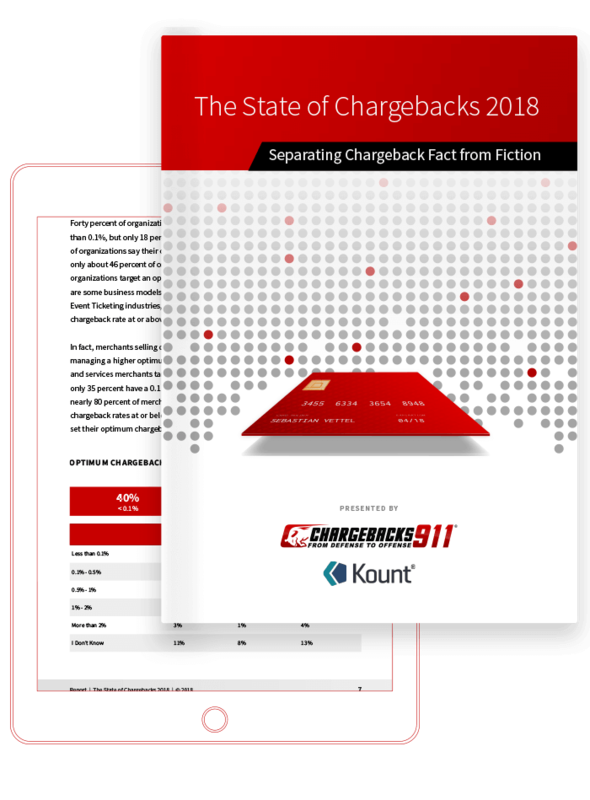 Failing to implement the necessary chargeback rules could have a severe impact on the merchant’s profitability and threaten the business’s longevity. Chargeback rules are challenging to understand and difficult to implement. To make things even worse, policies are constantly being updated. Once a merchant has an effective strategy in place, the card networks change their expectations. If you’d like help managing chargebacks, let us know. The Chargeback Company offers both on-demand services and end-to-end accountability. Whether you need a little help or a lot, we have the services and products you need. Contact us today for a free ROI analysis. We’ll evaluate your current chargeback situation and let you know how much more you could be earning.